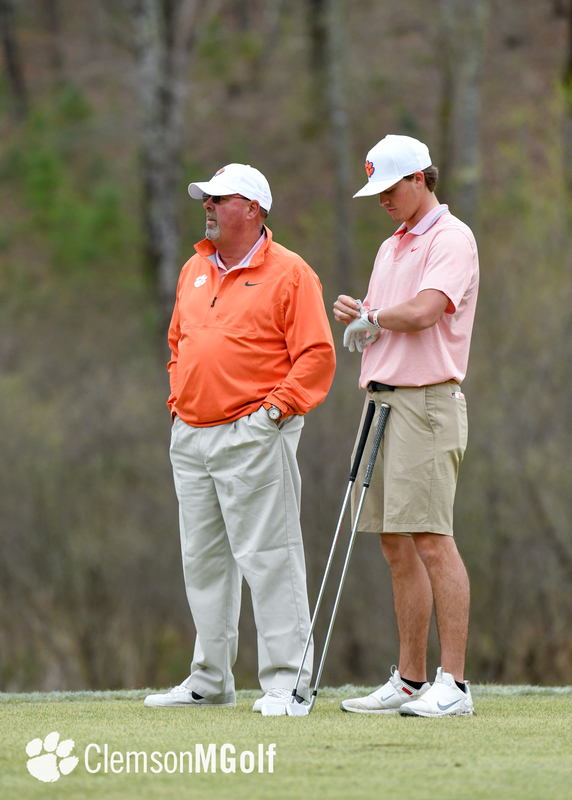 Clemson, S.C.—Georgia Tech shot a tournament record team score of 16-under-par 272 on Friday and grabbed a one-shot lead over rival Georgia after the first round of the Clemson Invitational at the Cliffs @ Keowee Falls Course in Sunset, S.C. Action for the 15 teams continues Saturday morning on the par 72 course that measures 7100 yards. 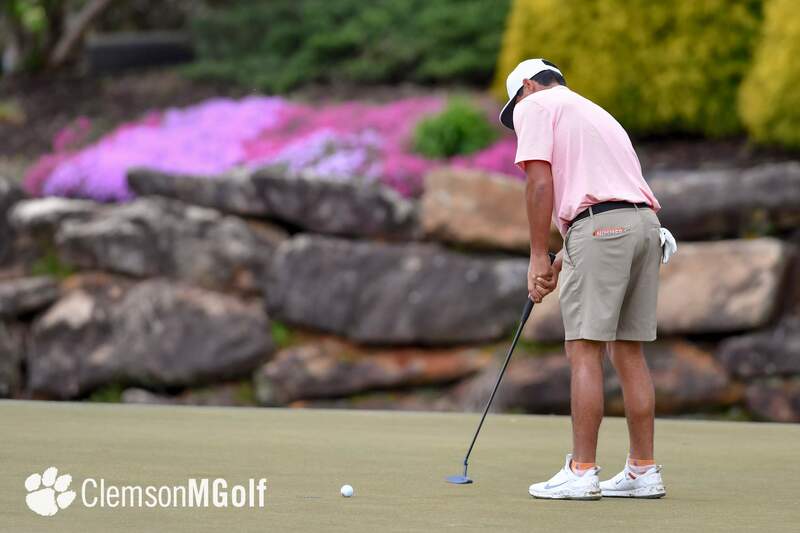 Georgia shot a team score of 273 on Friday, a total that was also better than the previous tournament record of 276 that had been set by Clemson in the first round of the 2016 tournament. 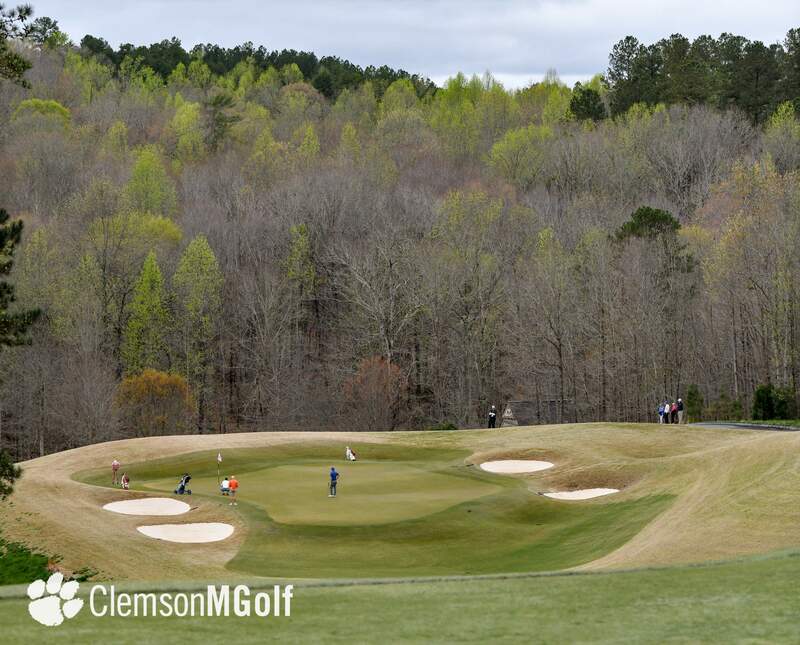 Duke is third at 275 and Clemson is fourth at five-under-par 283. 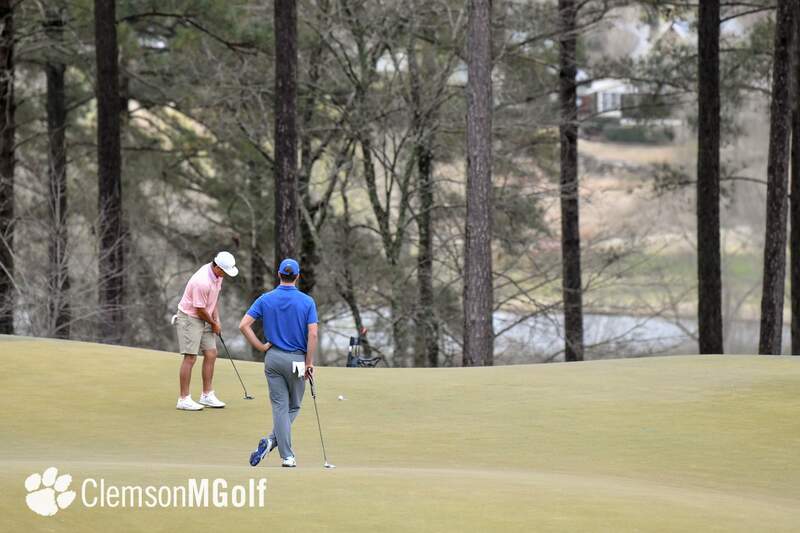 Adrien Pendaries of Duke shot a tournament record eight-under-par 64 in the opening round to lead the Blue Devils to that 275 team score. 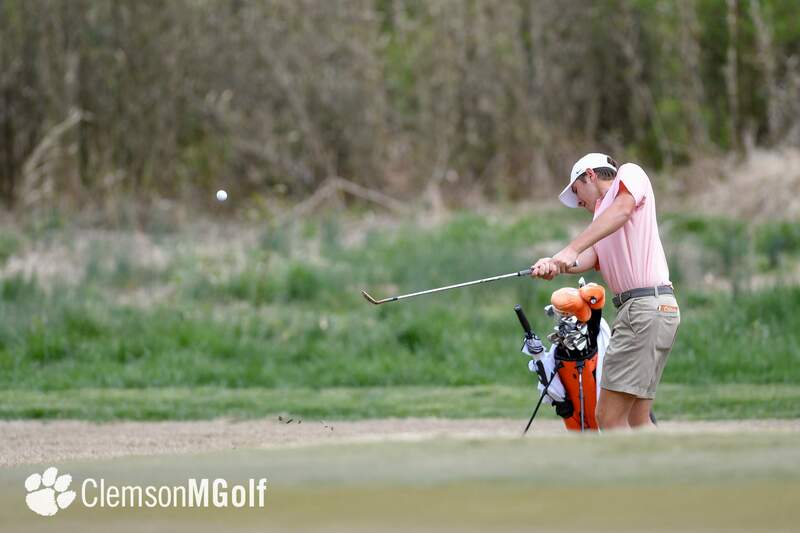 Pendaries shot 31 on the front nine thanks to four birdies and an eagle. 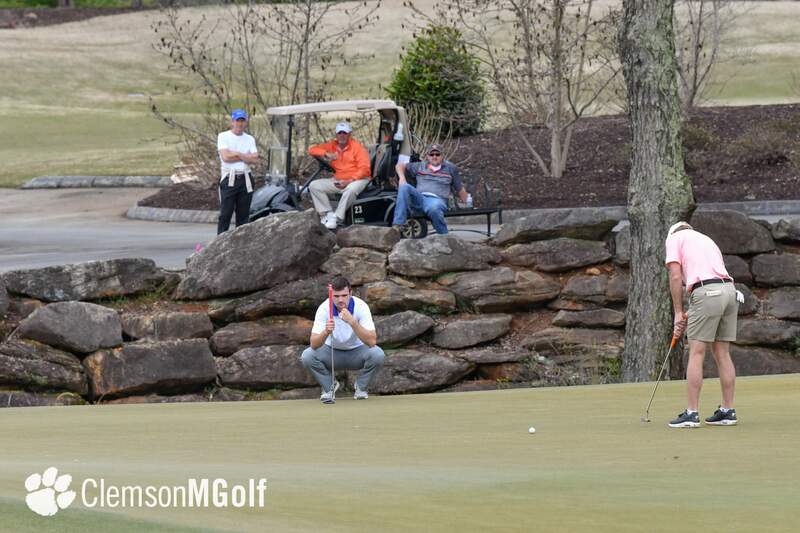 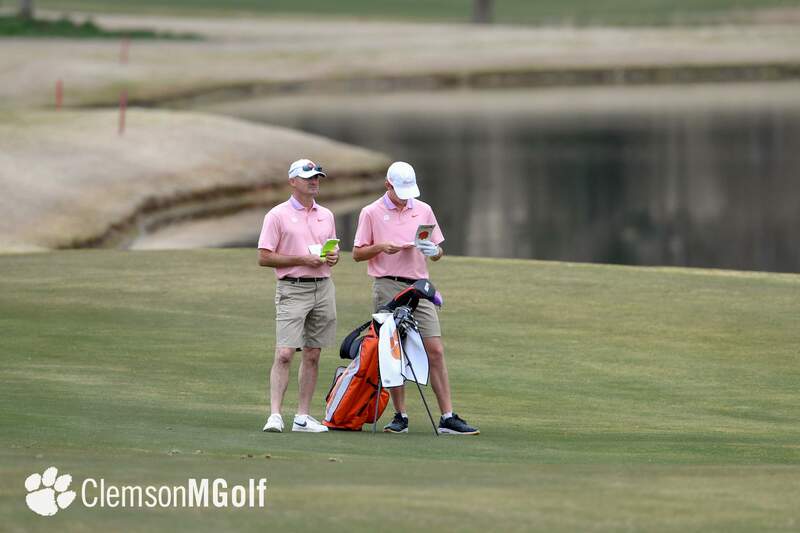 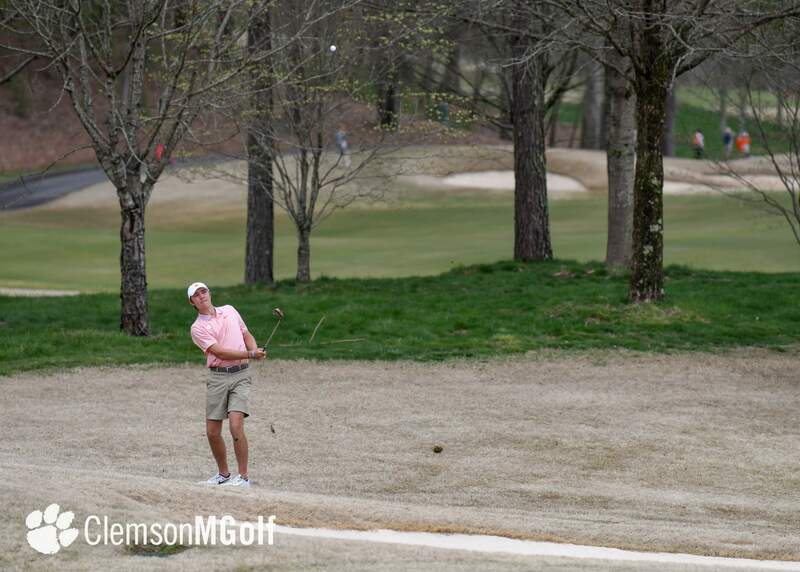 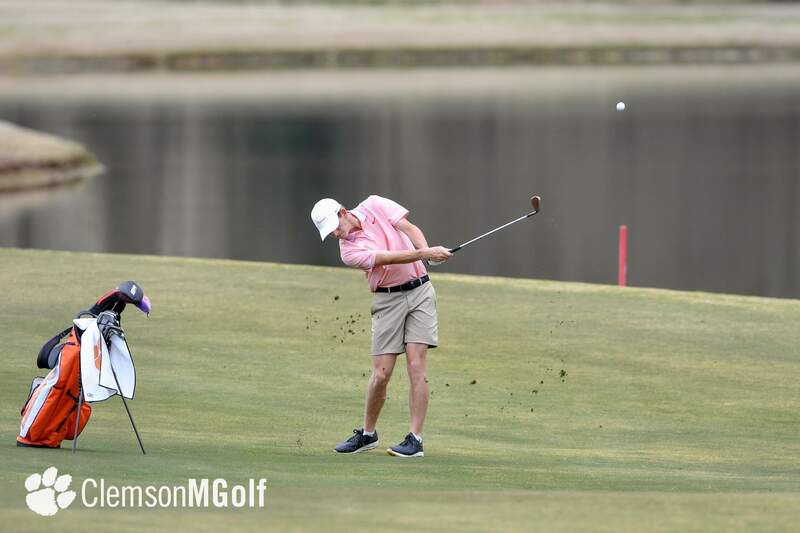 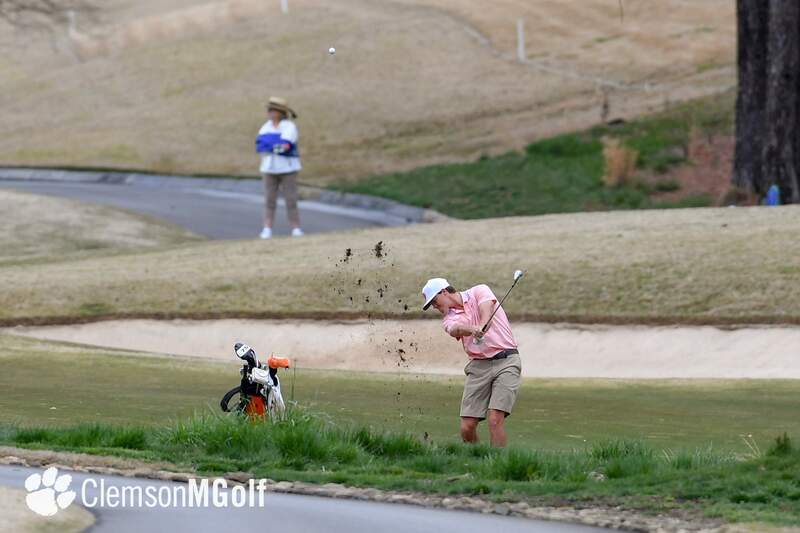 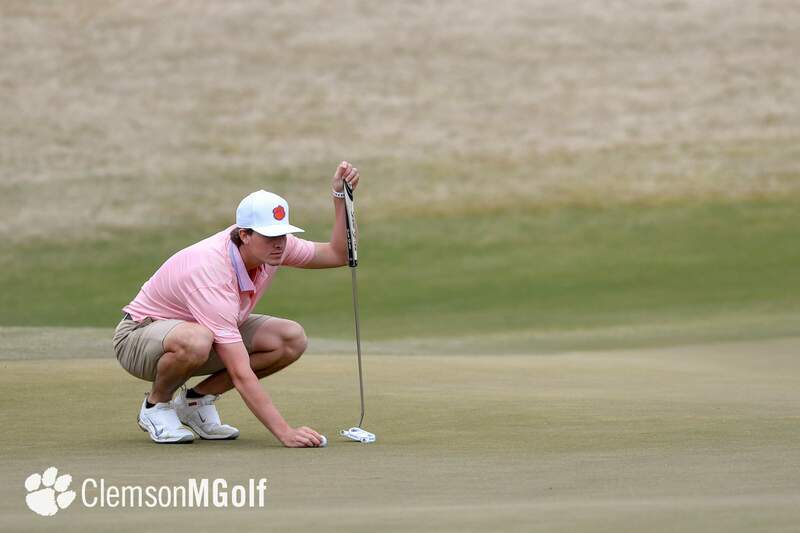 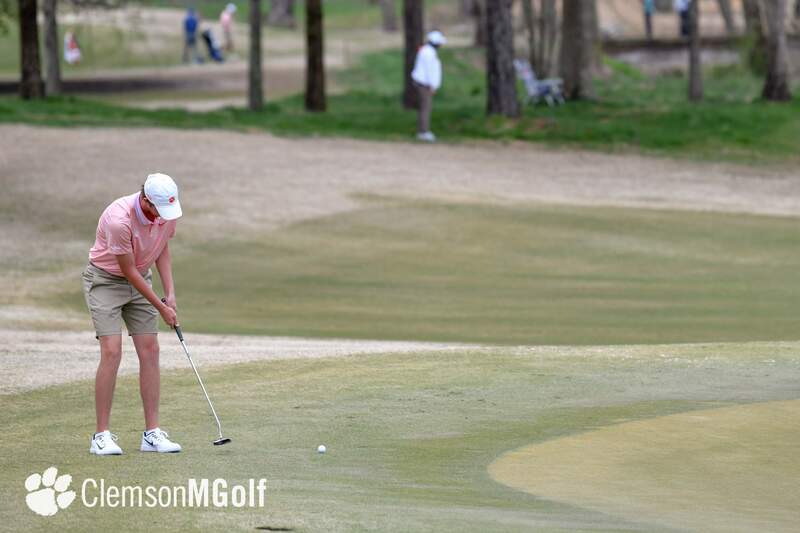 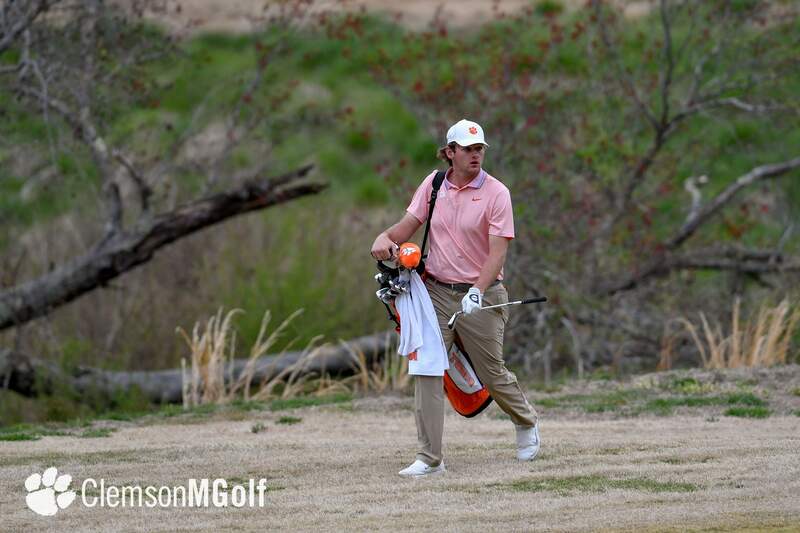 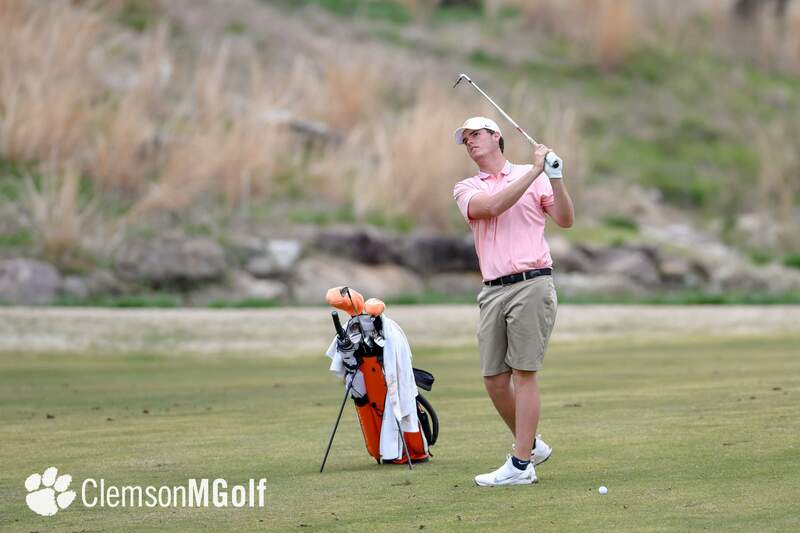 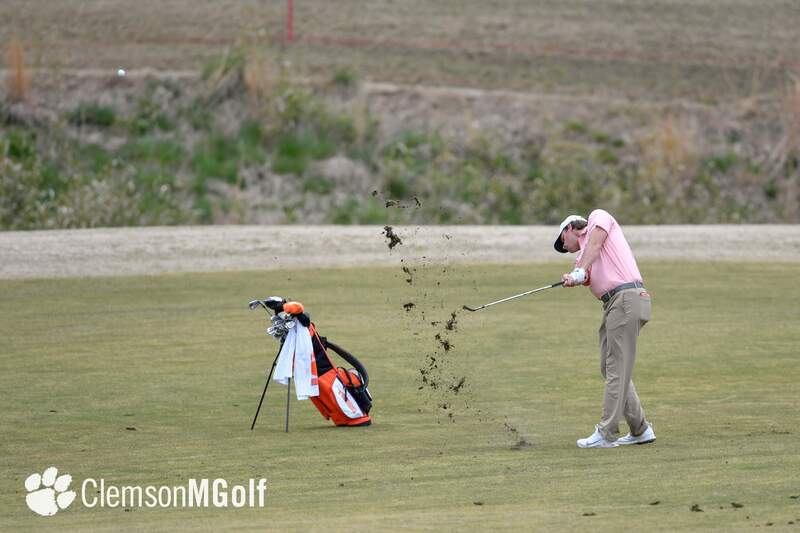 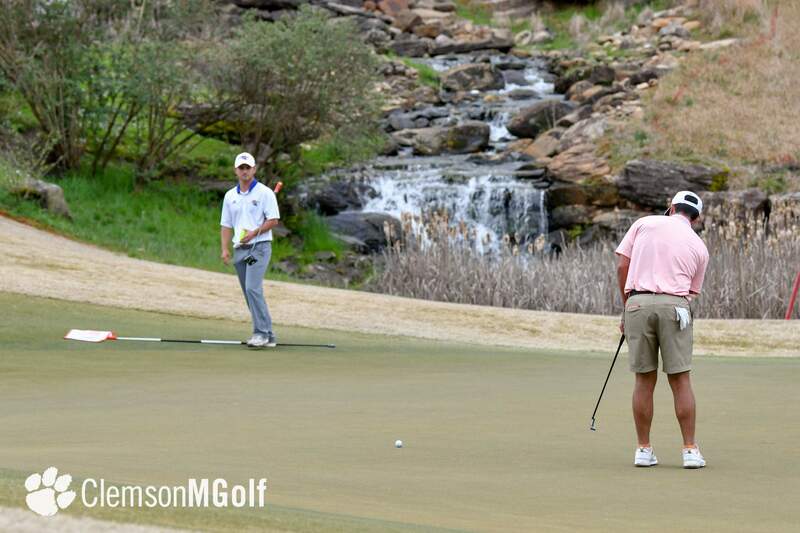 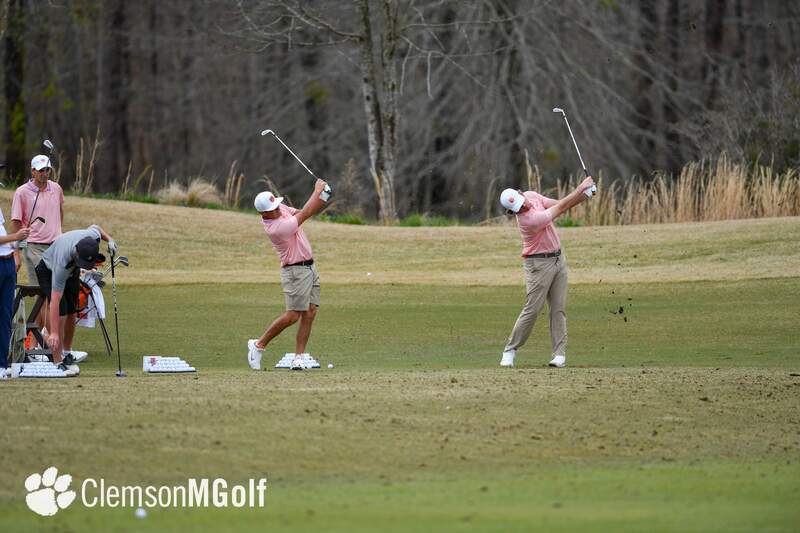 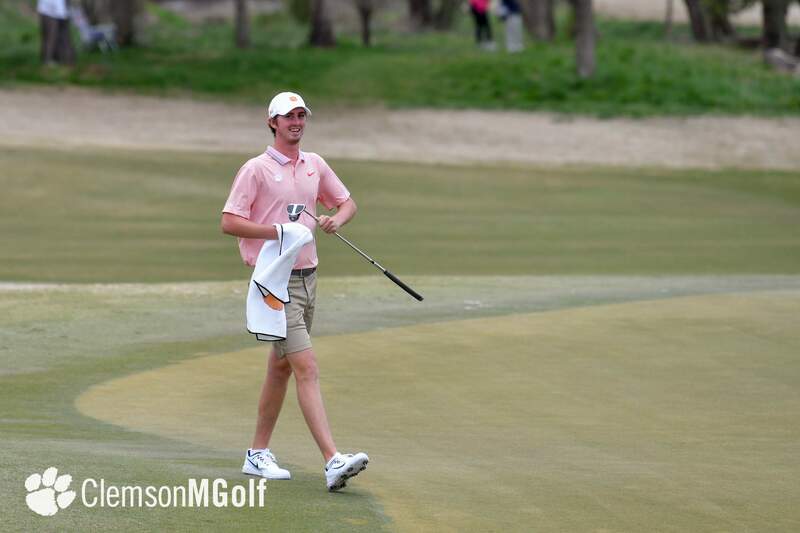 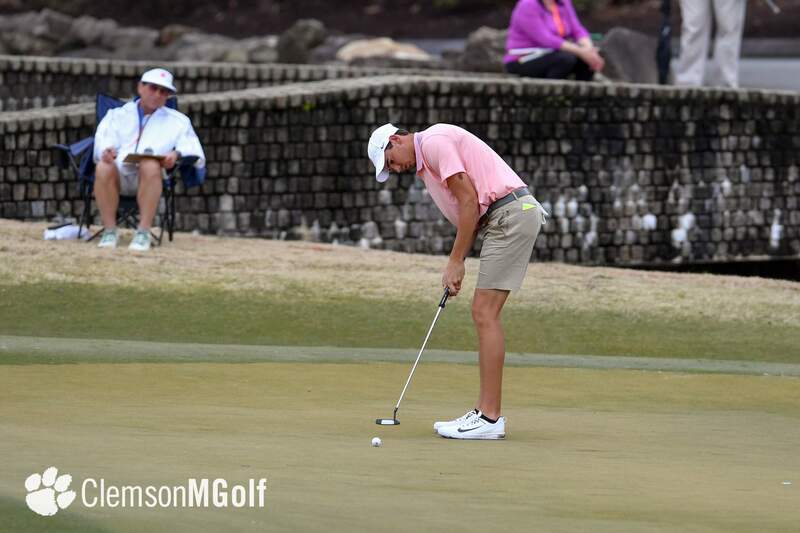 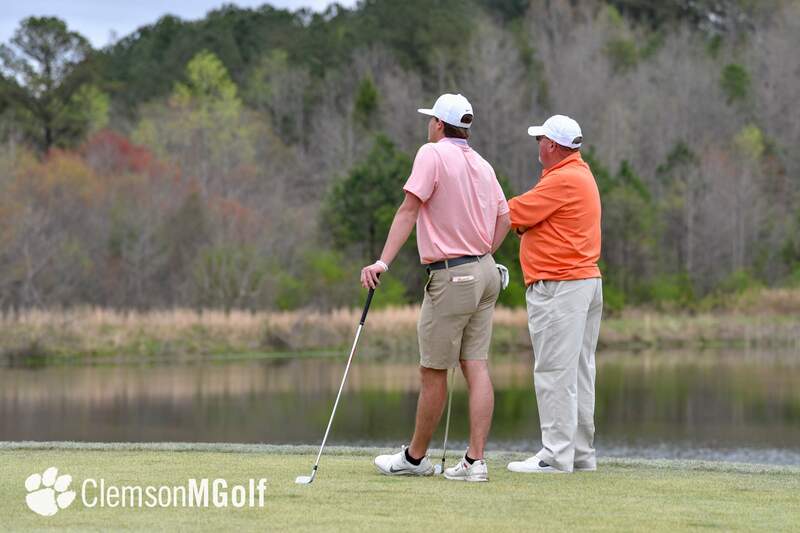 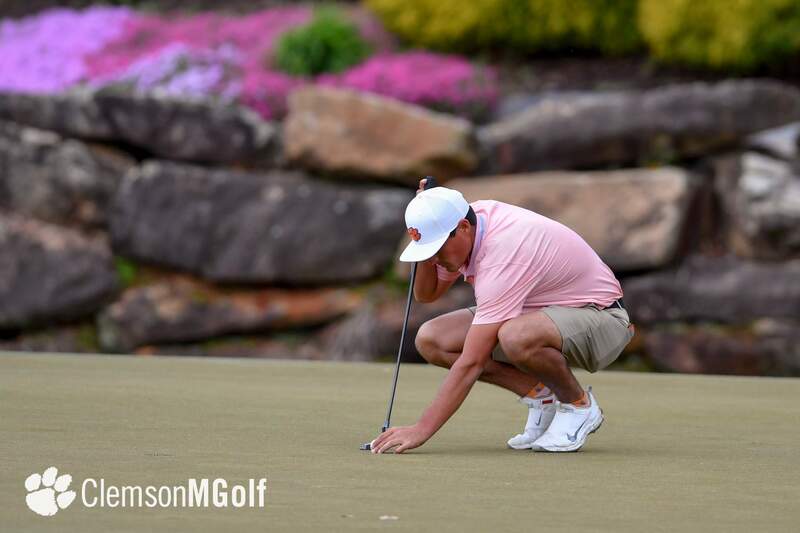 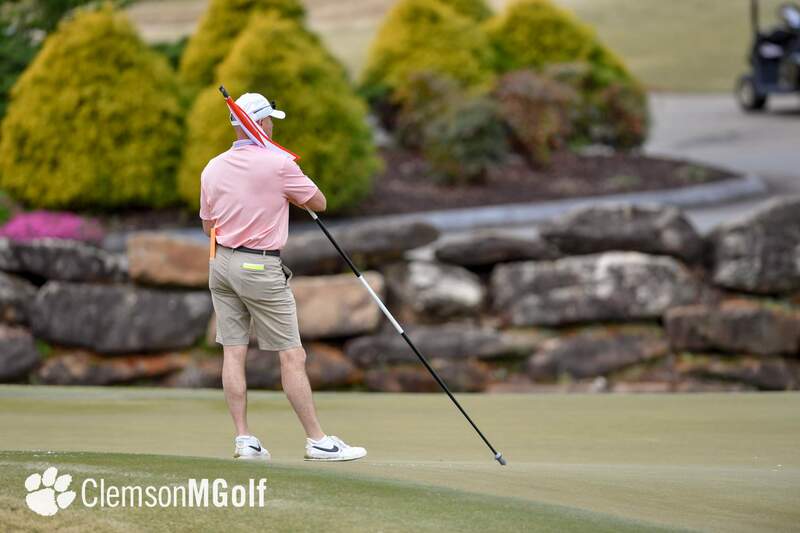 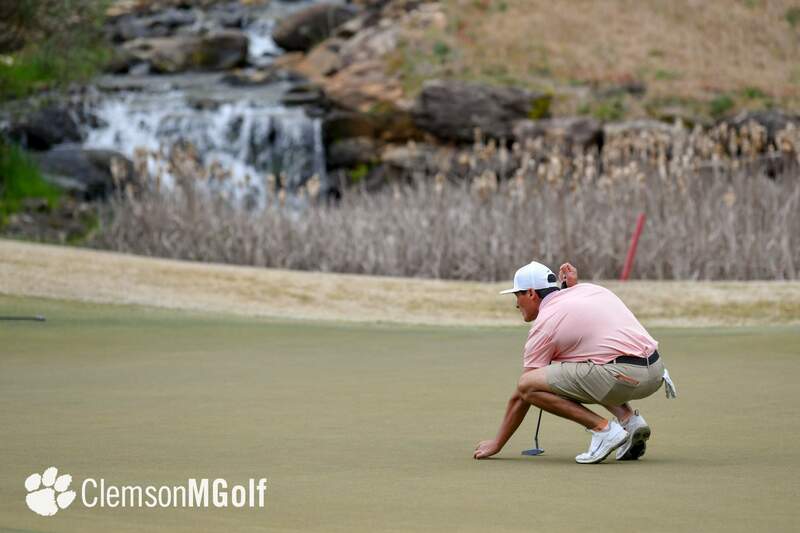 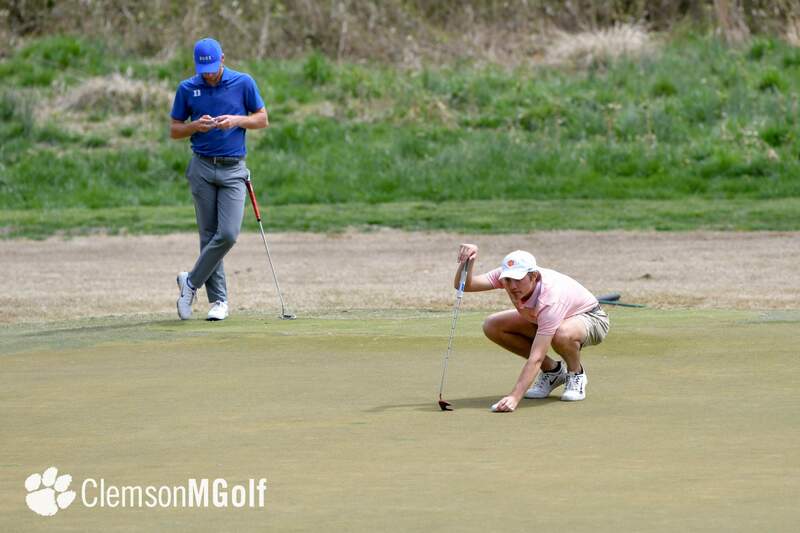 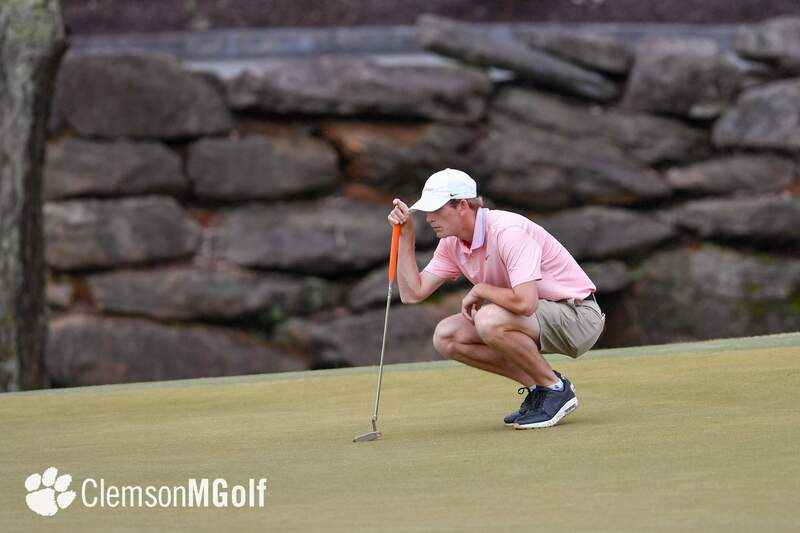 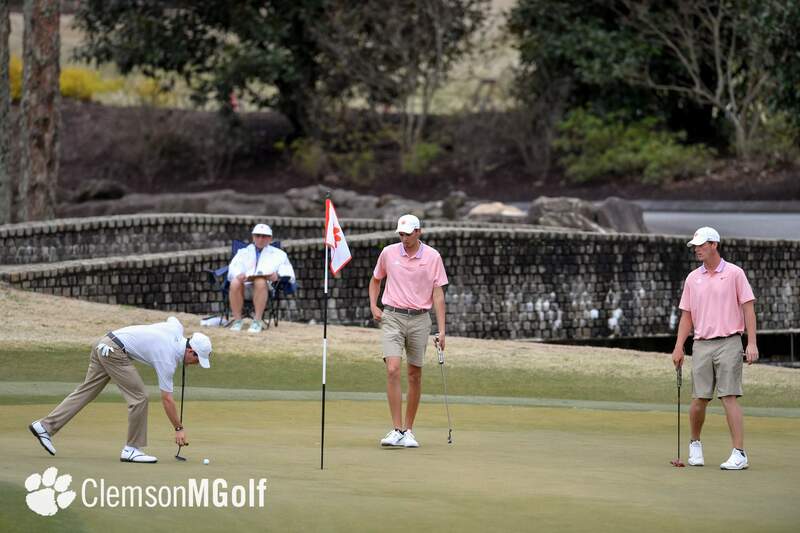 Clemson was led by senior Bryson Nimmer, who shot a six-under-par 66 thanks to six birdies and no bogeys. 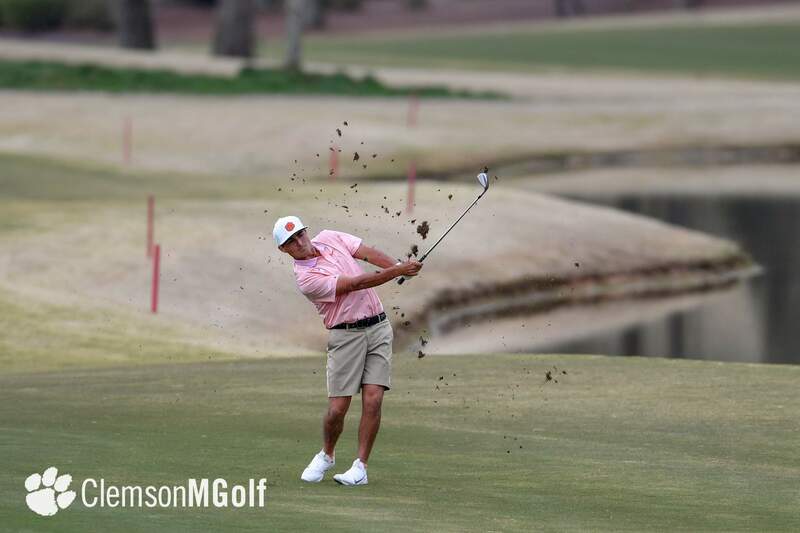 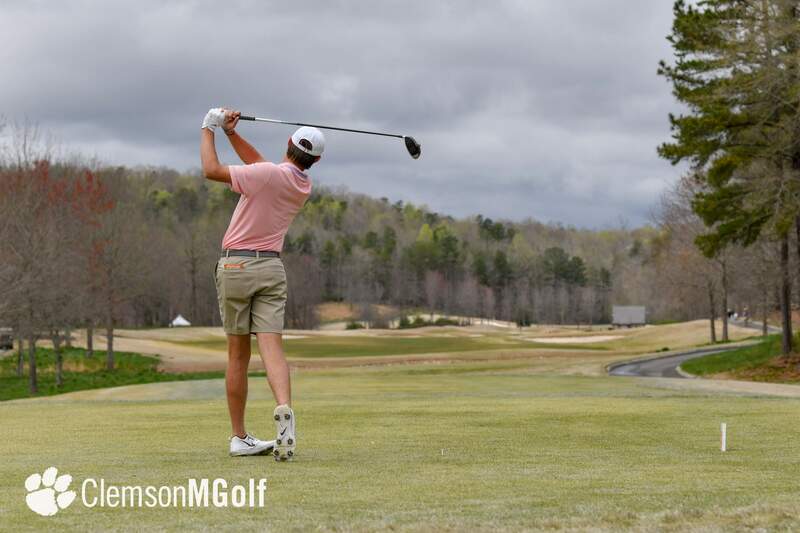 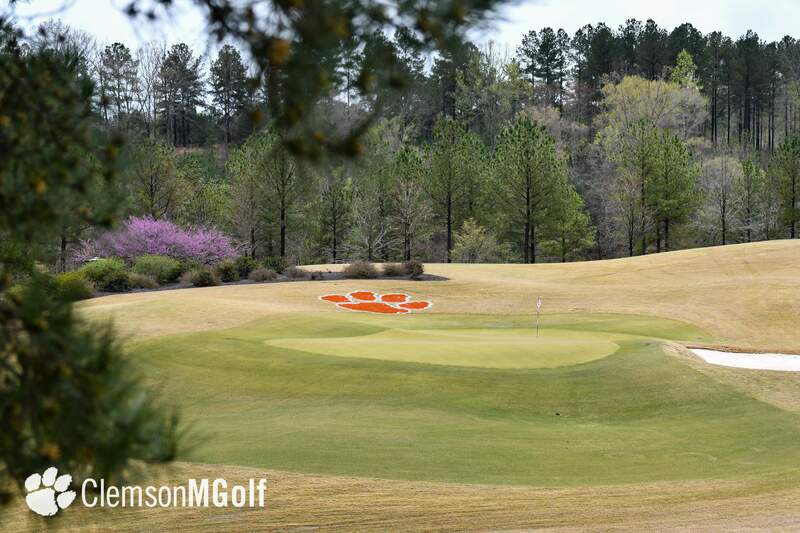 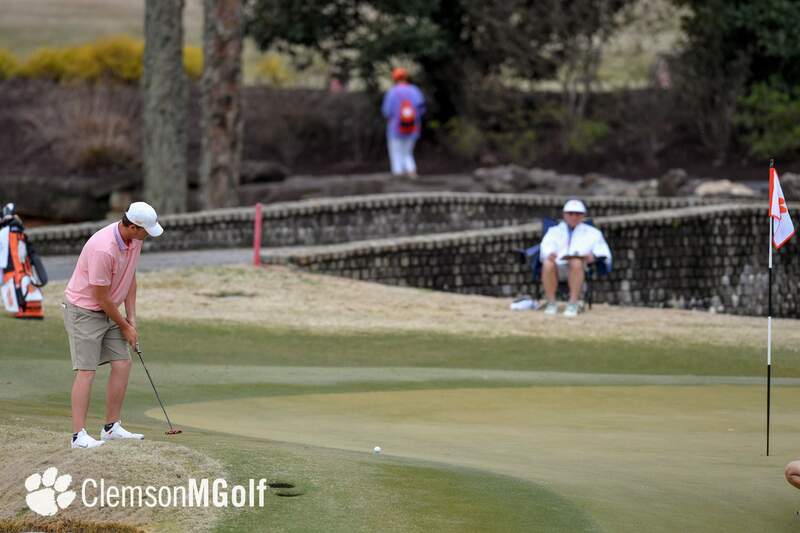 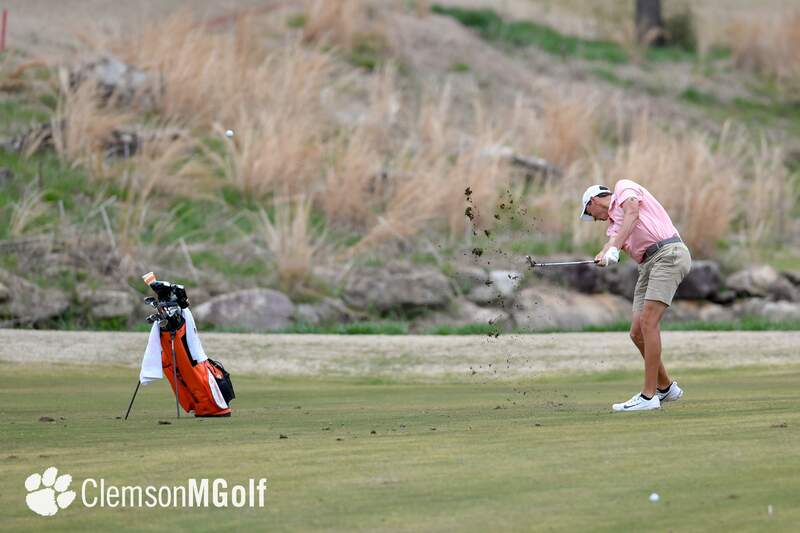 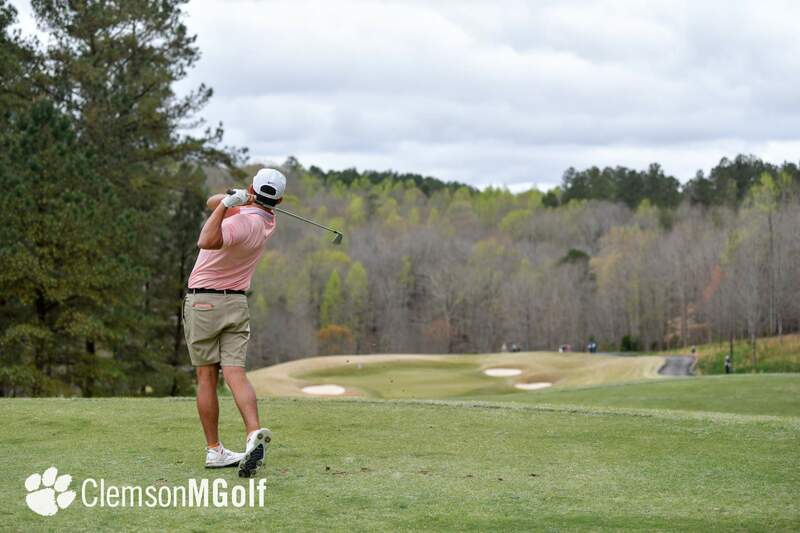 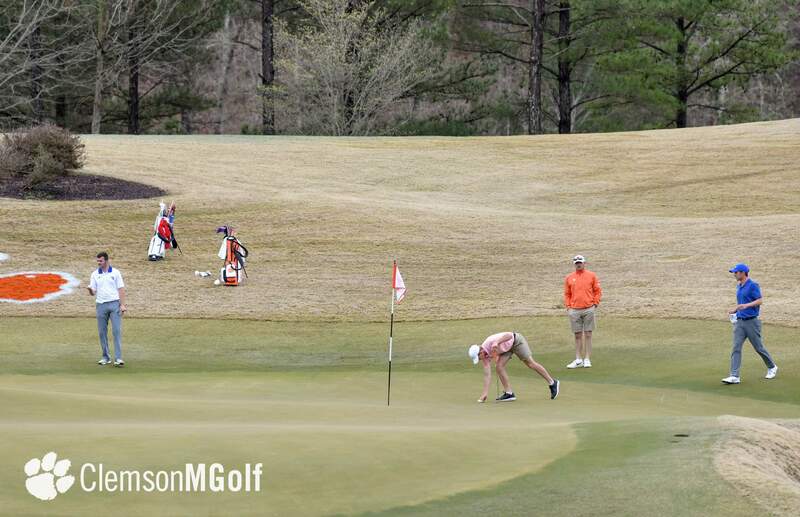 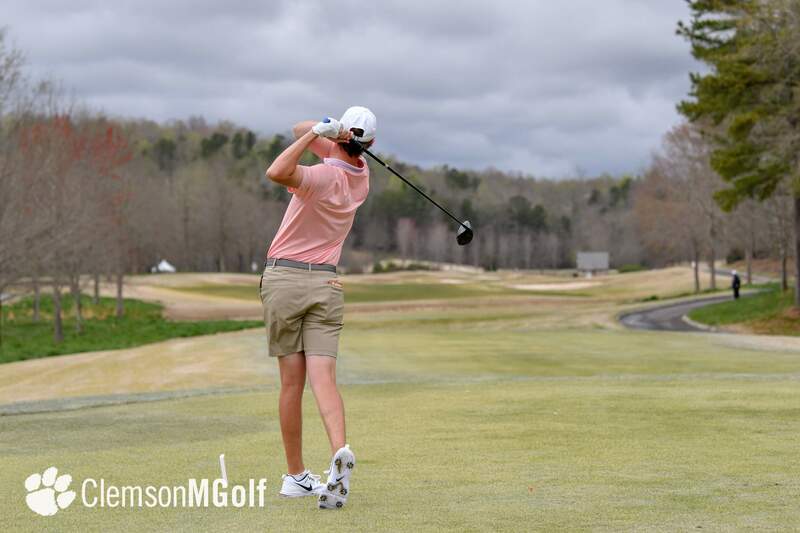 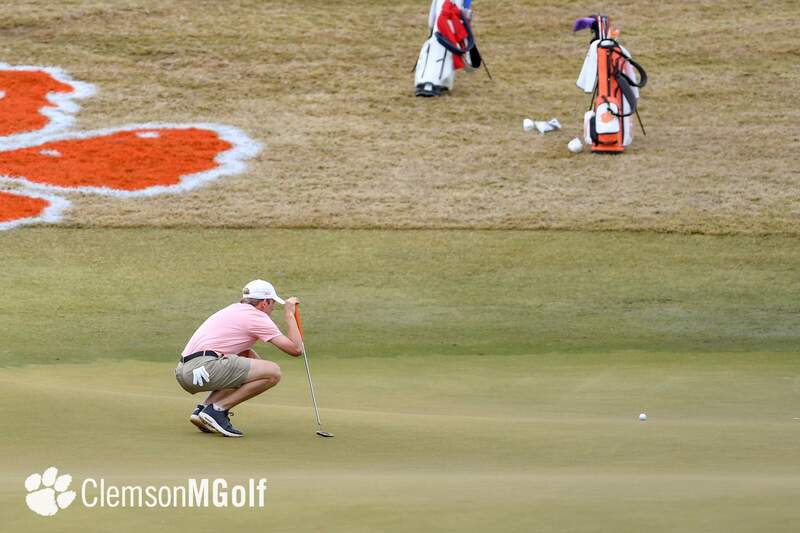 It was the lowest round shot by a Clemson player in the four years of the Clemson Invitational. 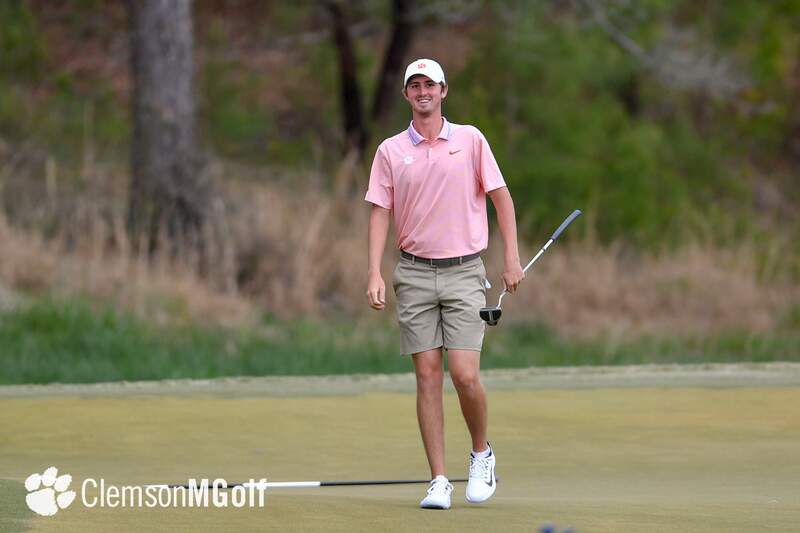 Nimmer stands in second place behind Pendaries entering Saturday’s second round. 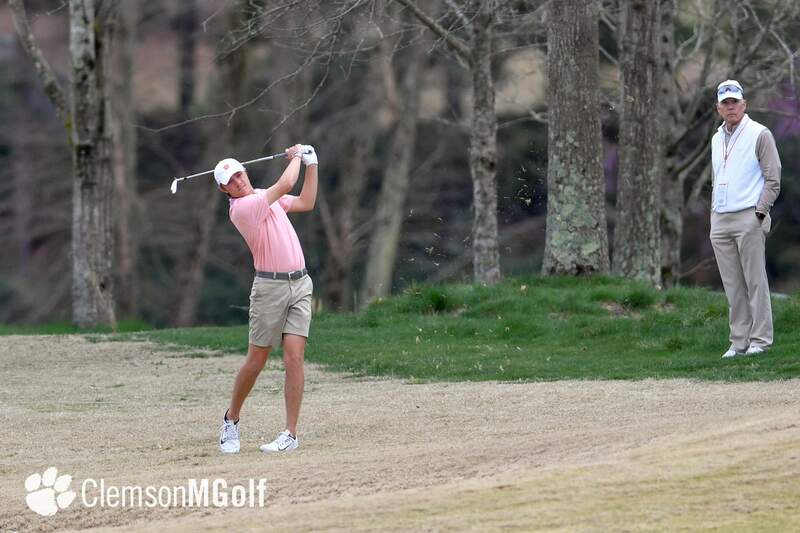 Kelly Harper of Furman, Spencer Ralston of Georgia and Andy Ogletree of Georgia Tech all had rounds of 67 and are tied for third individually after one round. 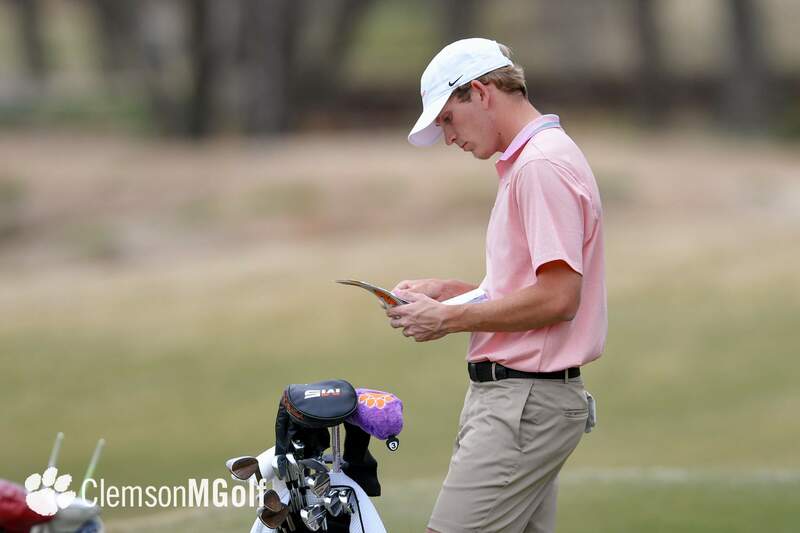 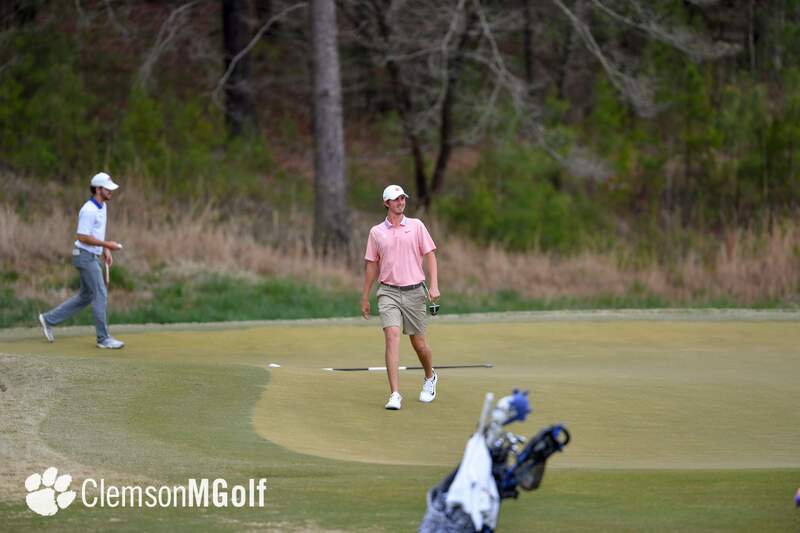 Ogletree led the field of 81 golfers in birdies with eight,. 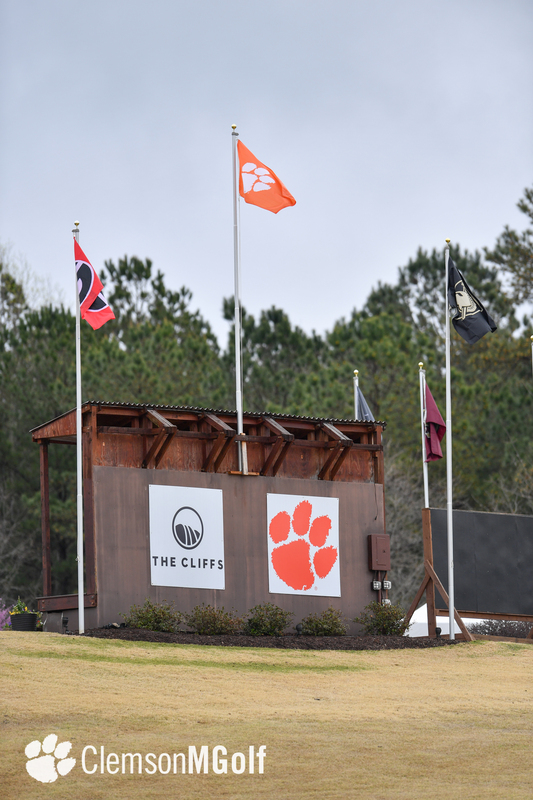 The field features four of the top 20 teams in the nation in Georgia Tech, Georgia, Duke and Clemson. 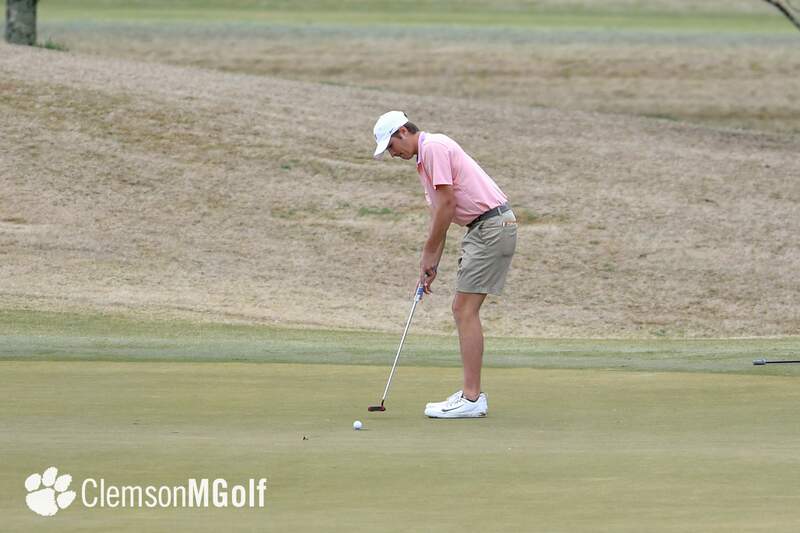 Ten of the top 100 players in the nation according to the latest Golfstat rankings are also participating. 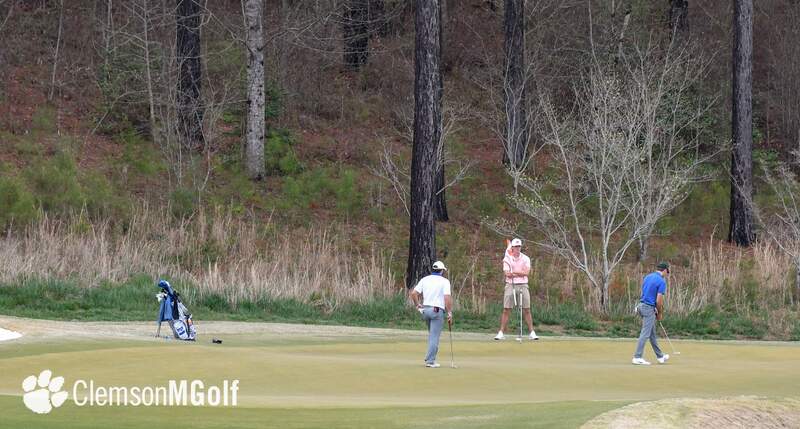 Georgia Tech shot the record setting team round thanks to its performance on the par five holes. 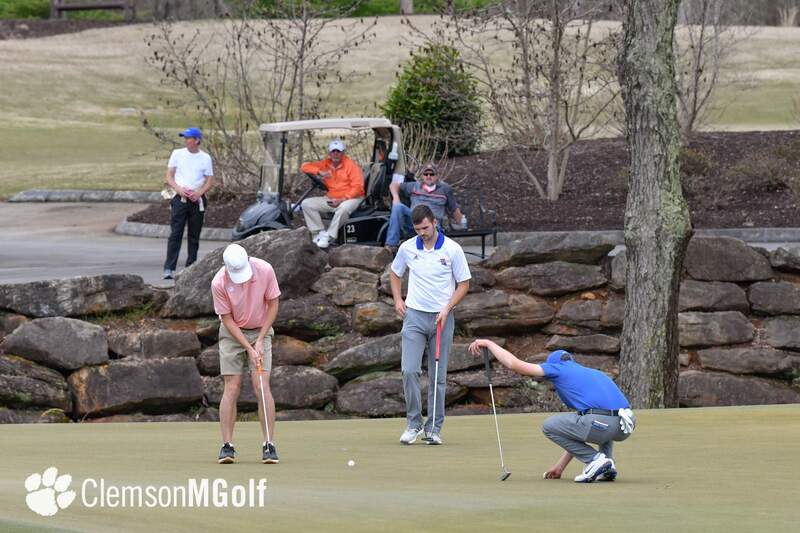 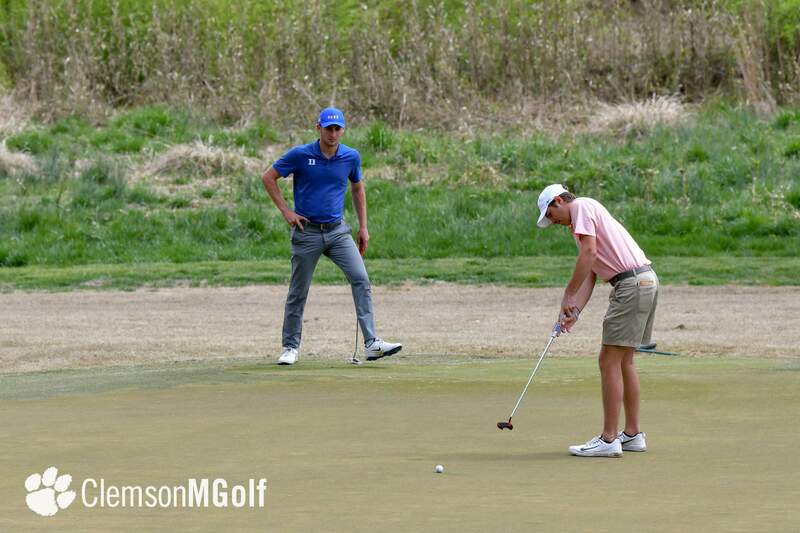 The Yellow Jacket players were 15-under-par on the par fives, seven shots better than any other team. 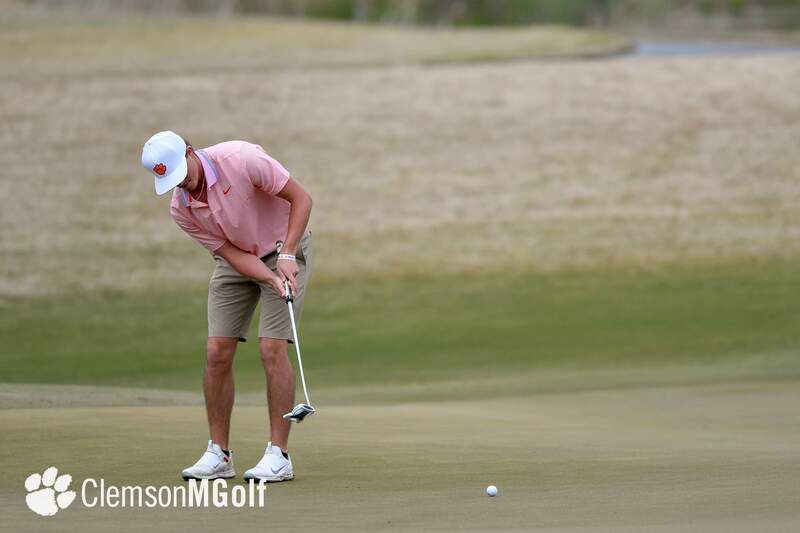 Georgia actually led in total birdies with 29 compared to Georgia Tech’s 25. 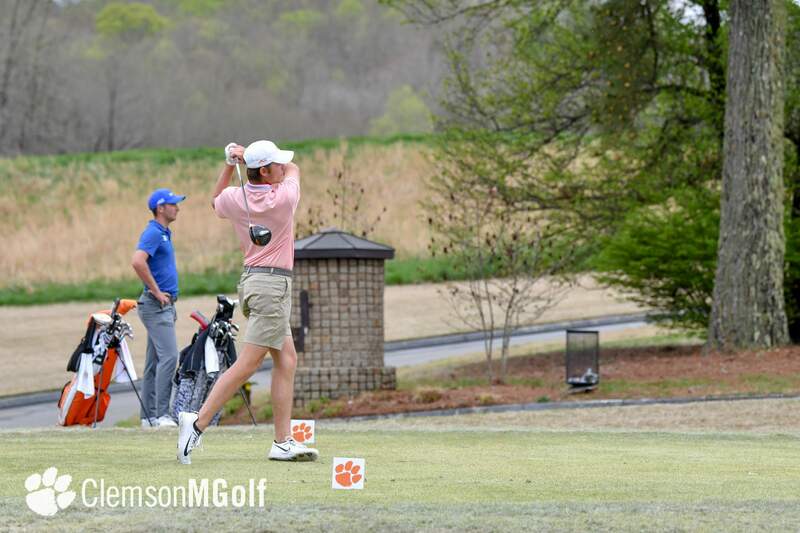 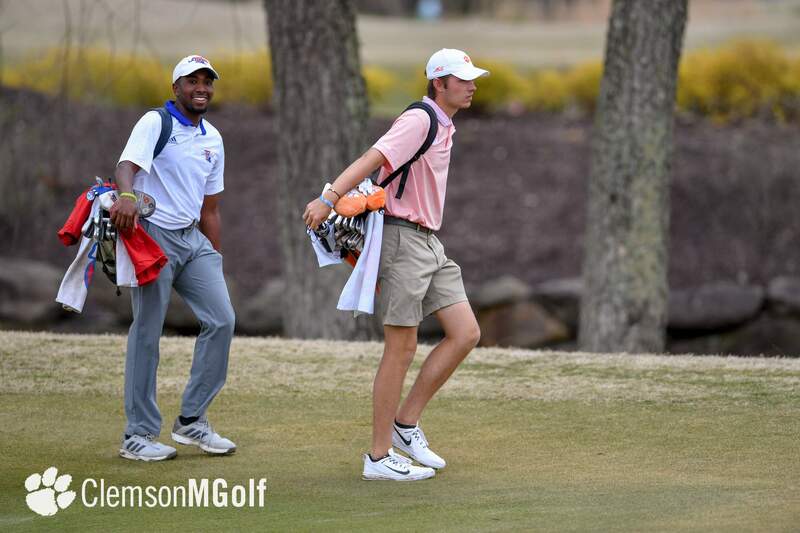 Jacob Bridgeman supported Nimmer for the Tigers with a three-under par 69. 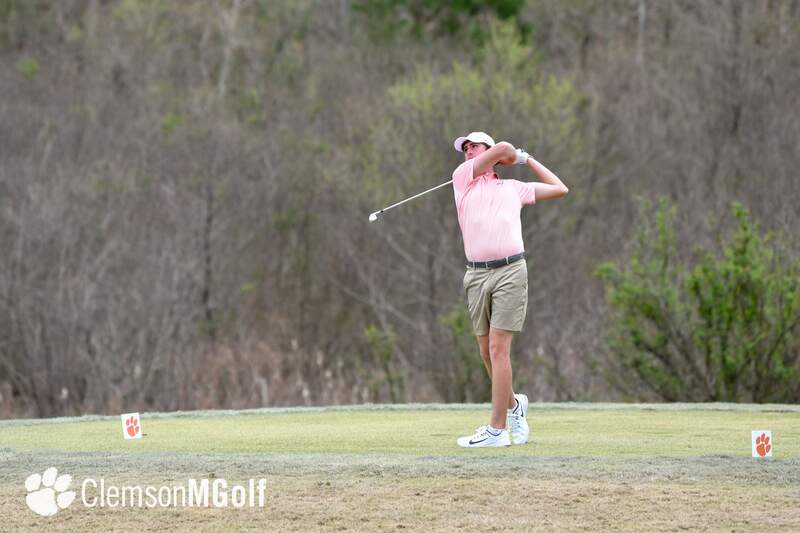 It was Bridgeman’s 11th round in the 60s and 13th under-par score this year. 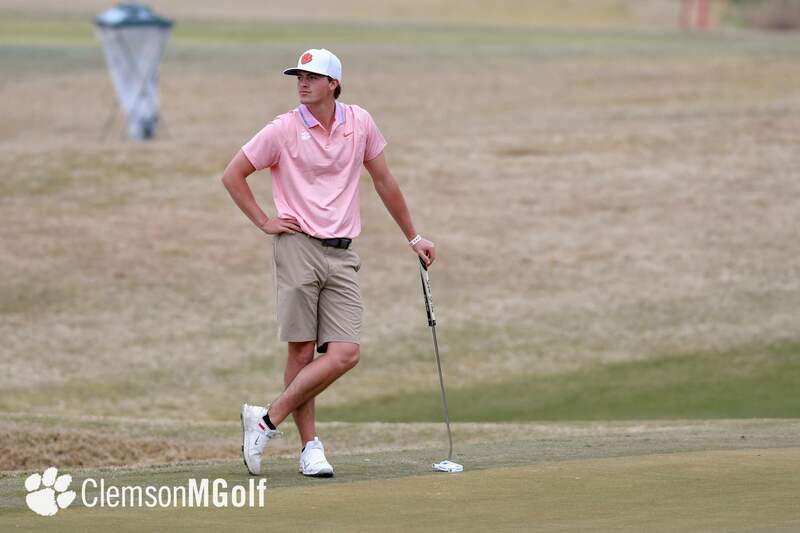 He stands in a tie for ninth place. 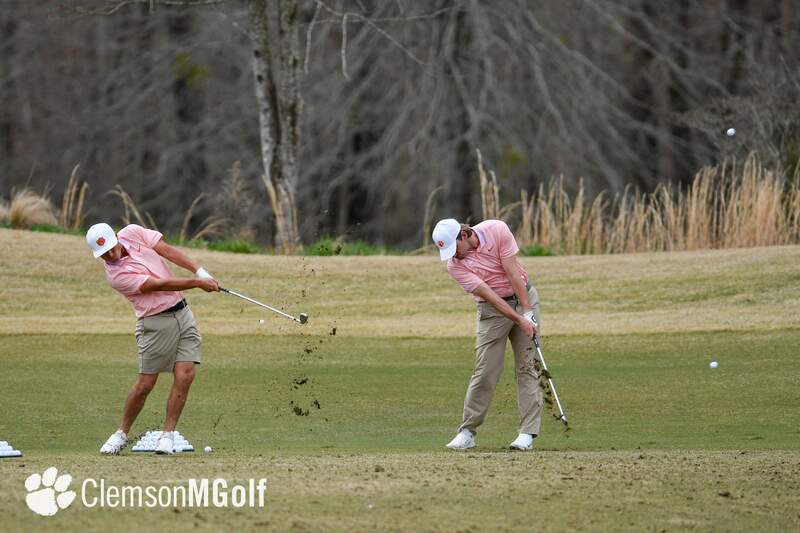 Colby Patton and Kyle Cottam both had rounds of two-over-par 74, while Turk Pettit, who led the team in pars with 14, shot a 77. 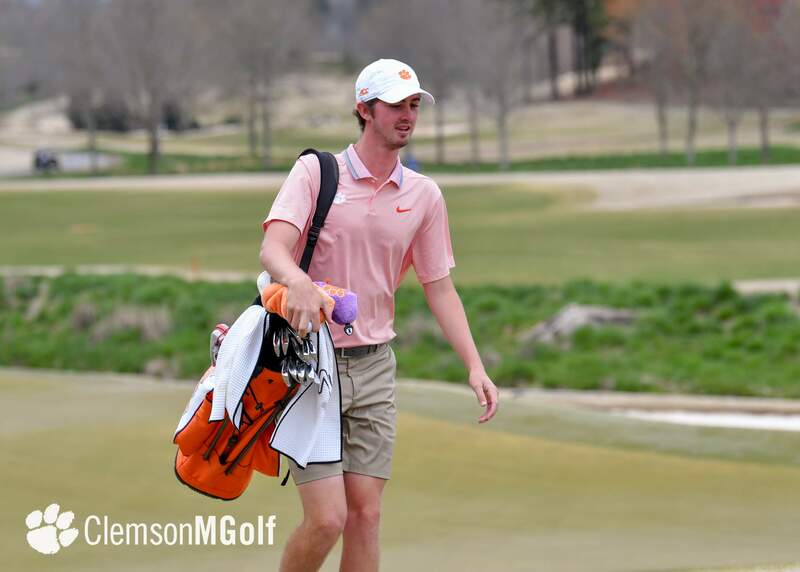 Tee times on Saturday begin at 9 a.m. Clemson will play with Virginia and Furman and begin play at 9:50 a.m. Live scoring is available on golfstat.com. 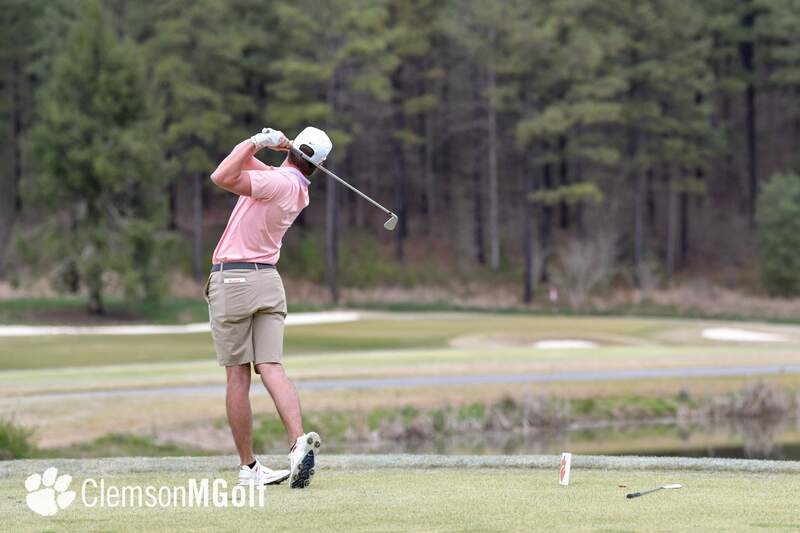 Georgia Tech 272, 2. 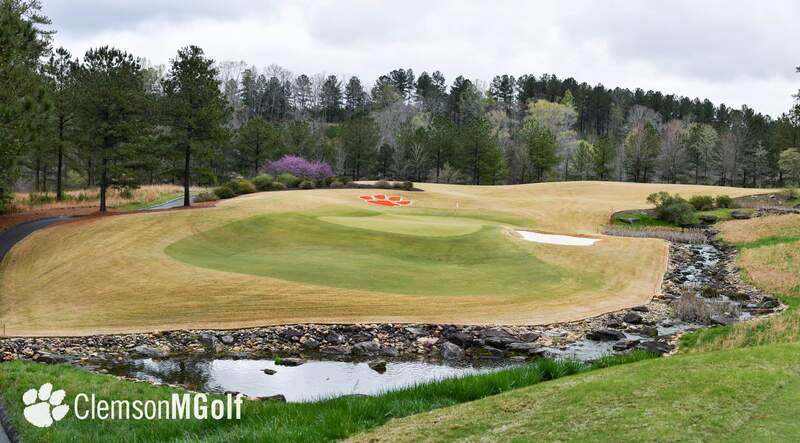 Georgia 273, 3. 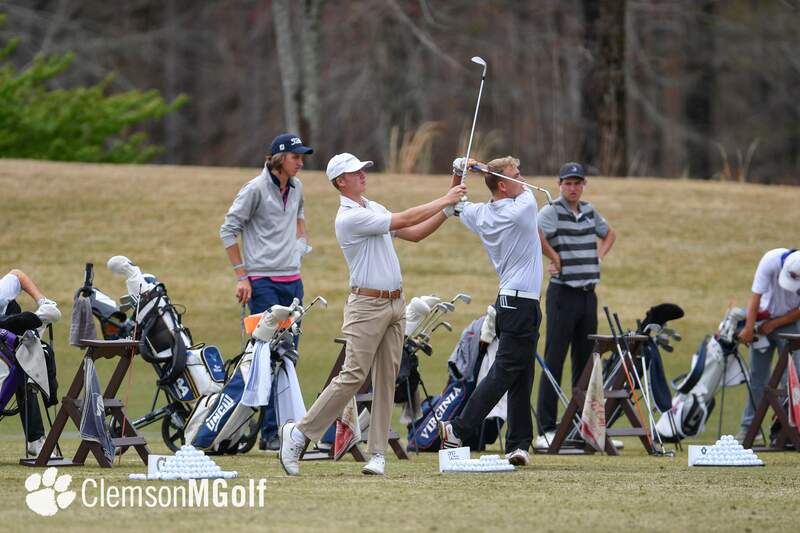 Duke 275,4. 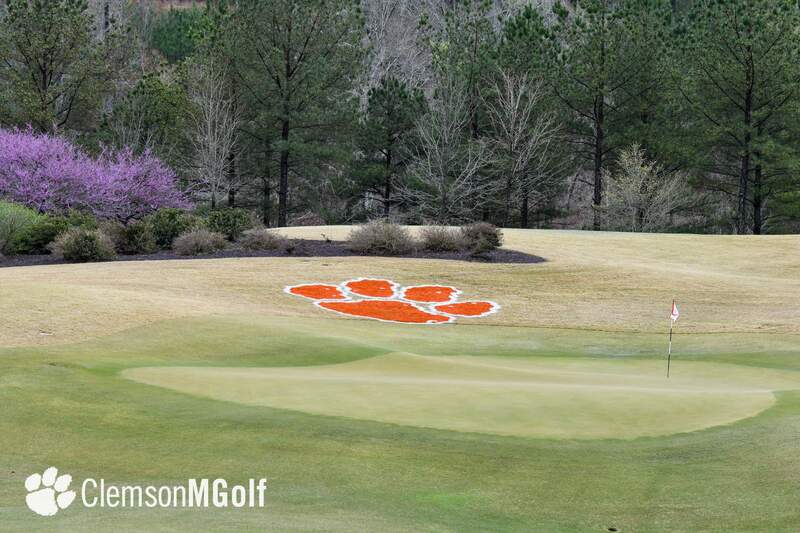 Clemson 283, 5. 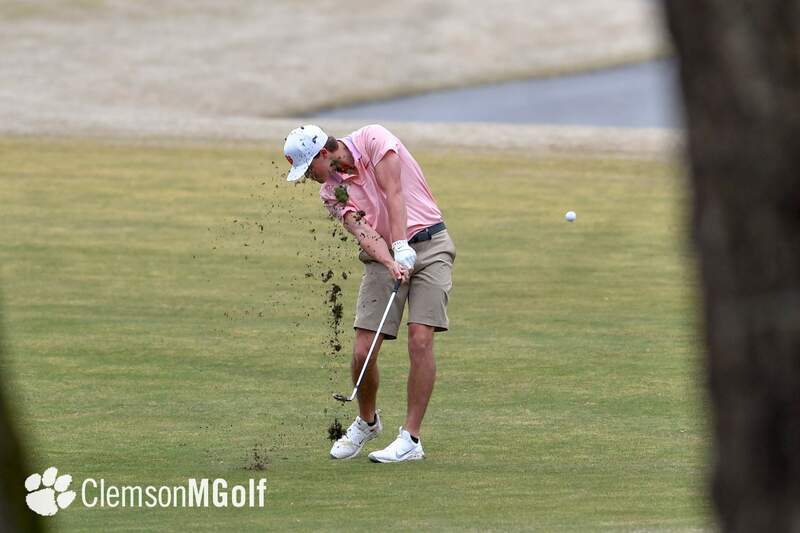 Virginia 284, 6. 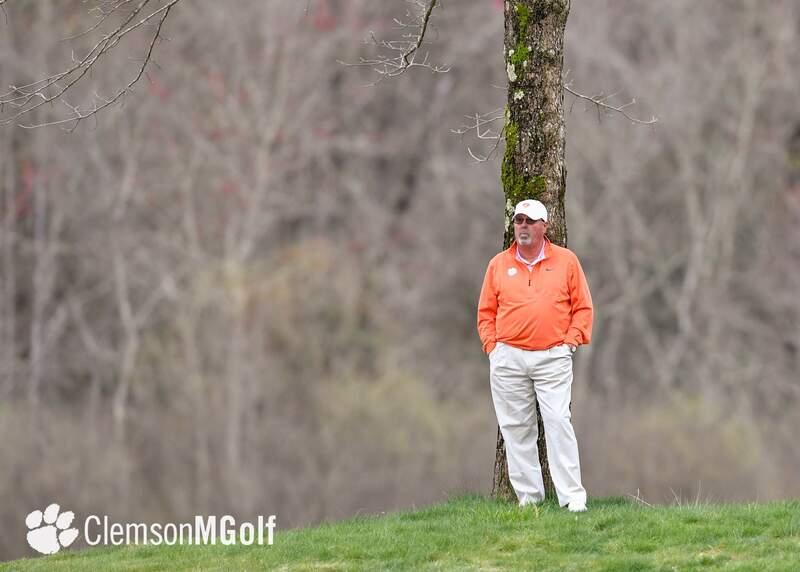 Furman 285, 7. 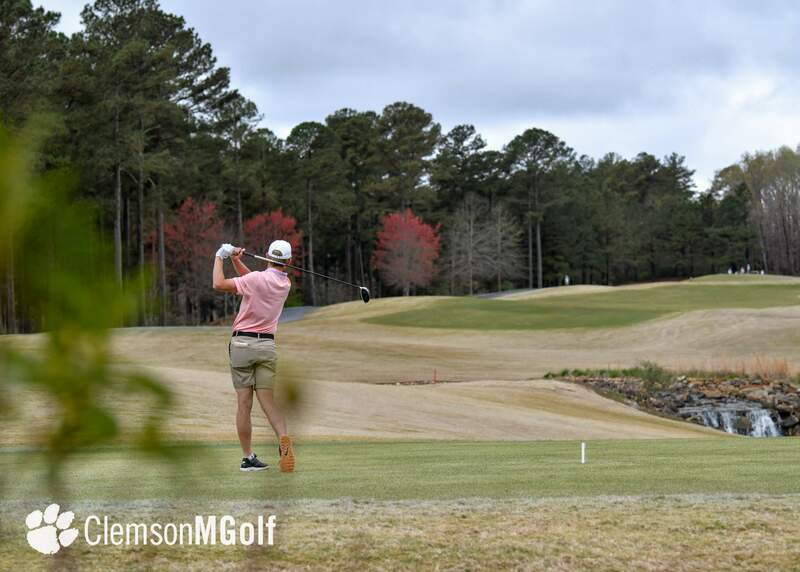 College of Charleston 291, 8. 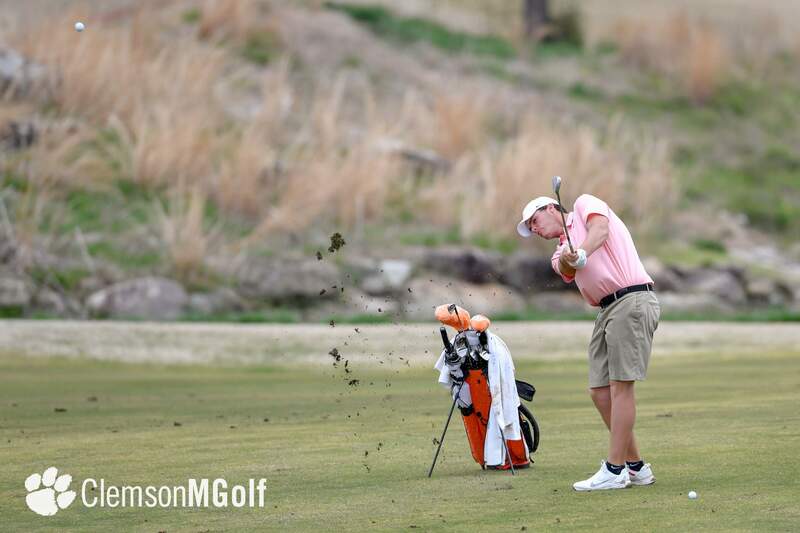 Wofford 292, 9. 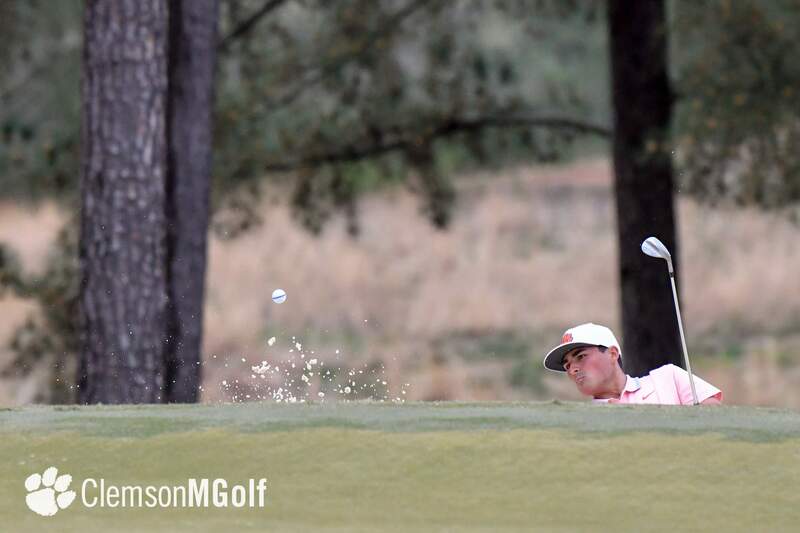 UNC-Wilmington and Army 294, 11. 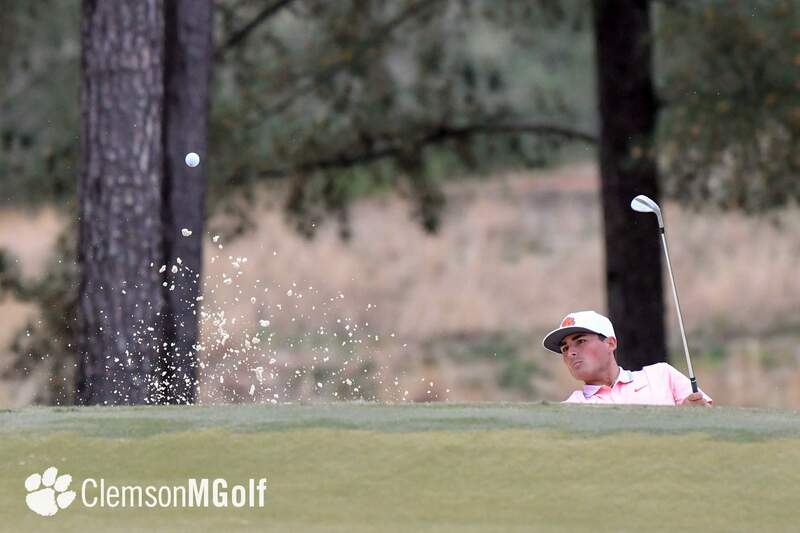 UCONN 295, 12. 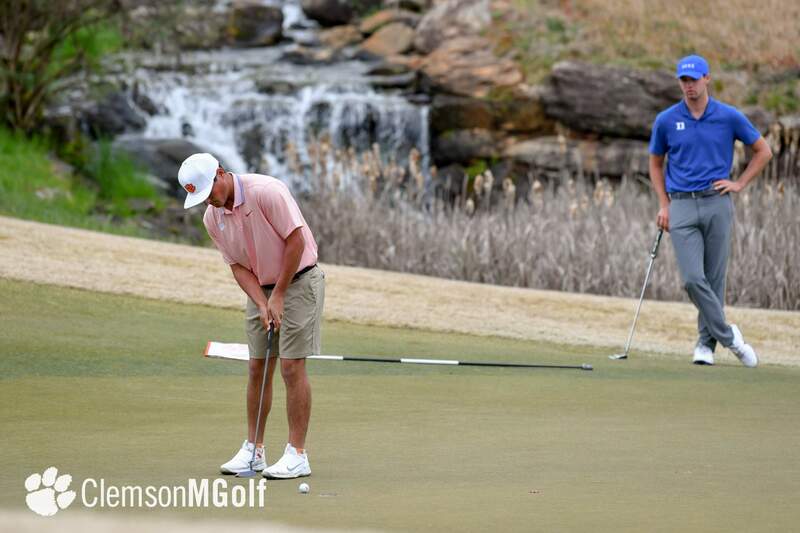 Louisiana Tech and Boston College 300, 14. 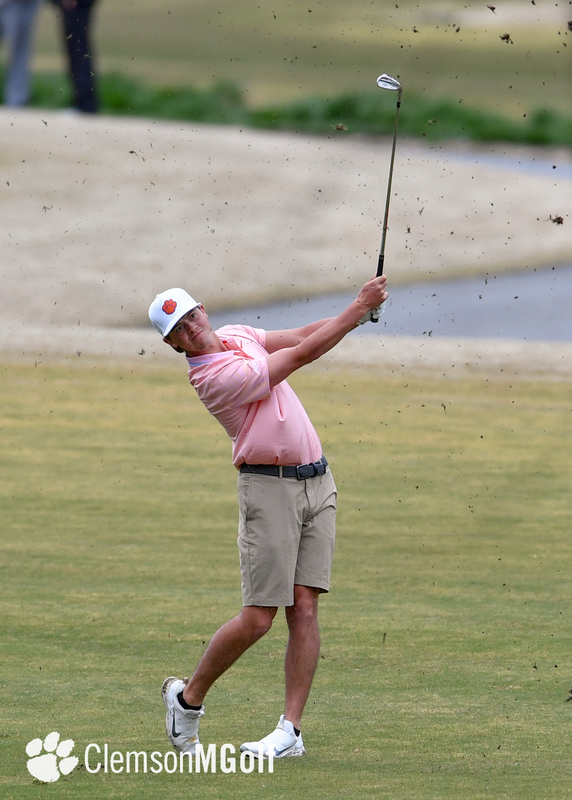 Elon 302, 15. 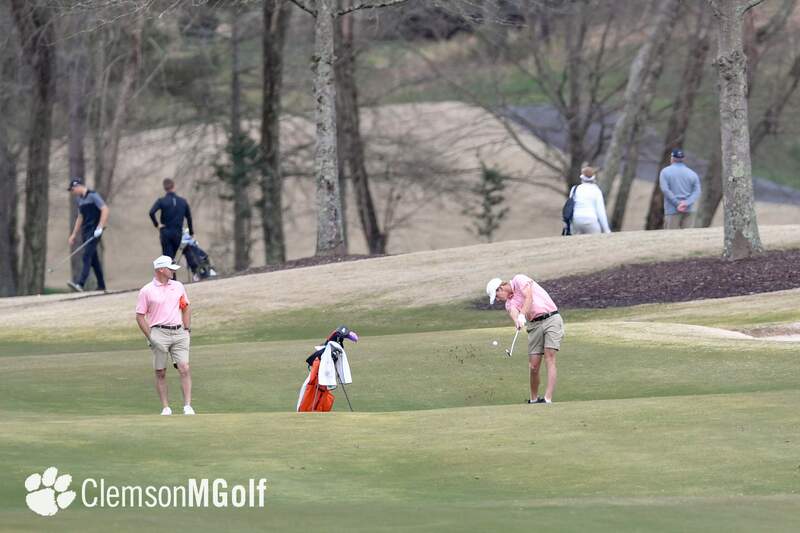 Western Carolina 304.